You don't have to be a grown man to practice yoga. Boys and teens can be especially graceful and adept yogis because of their natural flexibility, spontaneity, and eagerness to learn. Starting boys off early on the path of yoga can be one of the greatest gifts a loving parent can offer. It starts children at an early age on a path of health and wellness, while encouraging the development of strength, endurance, suppleness, grace, and balance. In fact, many common yoga sequences were developed for young boys. Yoga colleges, or schools, for boys were established in India in the late 19th and early 20th centuries to offer young boys a full education, including physical culture. These schools were originally reserved exclusively for male students. Today, children throughout the world can practice yoga to support the balanced growth of body and mind. Many of the flowing styles of yoga were specifically developed to meet the needs of growing and active boys—combining a sense of movement and gymnastics with the execution of the classical yoga asanas. Yoga for children can be filled with the joy of movement and spontaneous self-discovery. The weight-bearing postures of yoga can help develop strong bones, while bending and twisting movements can help ensure flexibility. A regular practice of yoga can help children to become more centered and learn at an early age to deal more effectively with stress. The yogic practices of concentration and sound breathing are gifts that can help guide a child throughout his entire life journey. Stress is endemic today—not only among adult men. Yoga's ability to help calm and center is proving to have an increasing benefit for children. A growing number of elementary and high schools are introducing yoga practices into their curriculum in order to help students learn at an early age how to manage stress.4 In a particularly innovative program, Krishna Kaur, a teacher and practitioner of kundalini yoga (see Chapter 7) has developed a nonprofit organization called Yoga for Youth (YFY).5 With teachers in Chicago, Los Angeles, and New York City, Kaur and her associates teach yoga to elementary, junior, and high school students. YFY also takes yoga into the juvenile detention system—teaching the principles of a yoga lifestyle to incarcerated youngsters in an attempt to help break a cycle of attachment to criminal activities while they are still young enough to do so. Yoga is for all children, not only troubled ones. Many yoga institutes, studios, and residential retreats offer yoga programs specifically designed for children. So, too, do many local community recreational centers. So if you would like to help a child get a head start on life, start checking out your local yoga offerings. If you're set on loosing weight and becoming more flexible with yoga. Then this may be the most important letter you'll ever read! Who Else Wants To Quickly Get Into Shape, Loose Weight, And Become More 'In Tune' With Your Mind, Body And Spirit In Just 5 Days? It doesn't matter if you've never exercised a day in your life, or your the most fit person in the world... 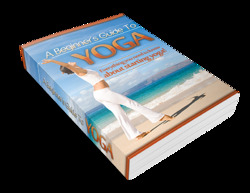 This Yoga guide will help you not only get MORE fit, but make you feel more energized after each workout!